I've had quite a few questions about my nails since I've been posting swatches so I thought I'd do a post about them. My nails aren't currently my own. I don't get a lot of calcium because I don't like milk so I find my nails peel and break off rather quickly. I've had gels put on recently and last week I decided to opt for natural tips rather than white, as I'm finding I have them painted most of the time anyway. From a regular distance you can't see my nail tip underneath the fake tip. When I get infills next, Beccy will be filing into my natural nails on most of them. So what are the pros and cons of gel nails? These are my personal pros and cons. ♡ They look more glossy and natural. 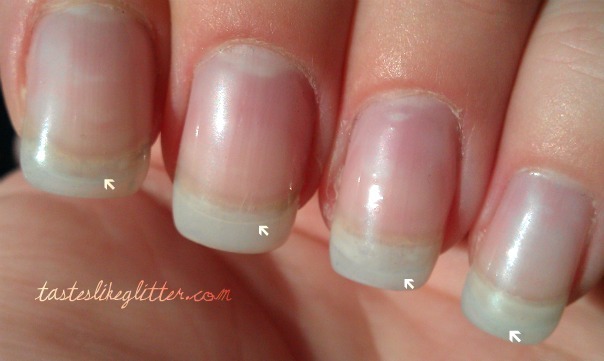 ♡ They last longer and lift rather than crack (like acrylics). ♡ They gel is odourless. 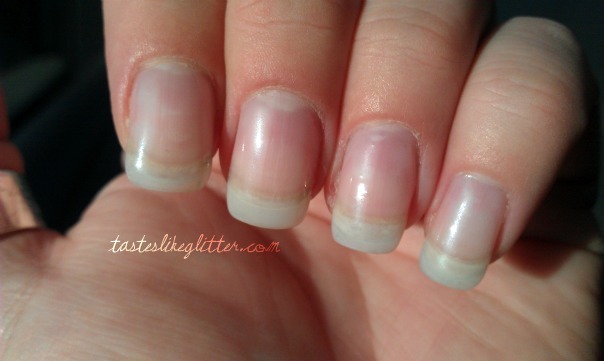 ♡ I don't have to worry about staining my nails by not using a base coat. ♡ Nail polish doesn't chip. ♡ They make my nails stronger. ♡ The gel is self levelling. They can take longer to do because of the curing under the UV light. I honestly can't think of any other bad points! I love them and will be getting a gel overlay on my natural nails to strengthen them when the fake tips grow off. I know nail bloggers generally hate fake nails but I really have tried everything and nail strengtheners seem to give up after a while. This is the only way I can have nails.